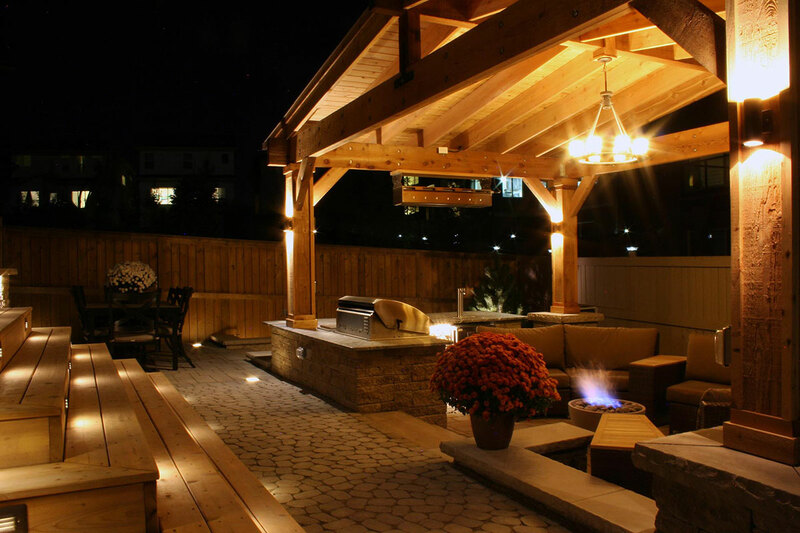 Creating a unique getaway in your backyard is the perfect home improvement project for the summer. 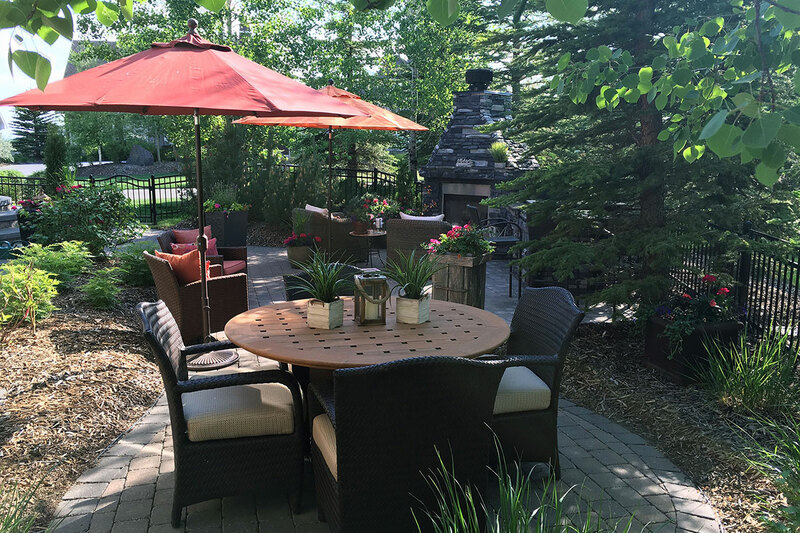 The backyard landscaping design team at Ananda Landscapes are about to share some tips with you to help you design the perfect escape from the daily grind in Calgary and immerse yourself in the comfort of your own backyard. 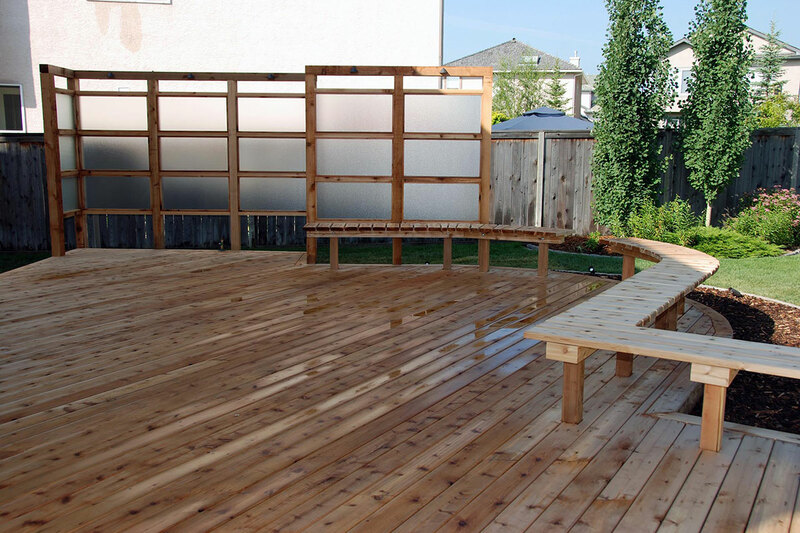 Calgary is famous for making the most out of patio season. 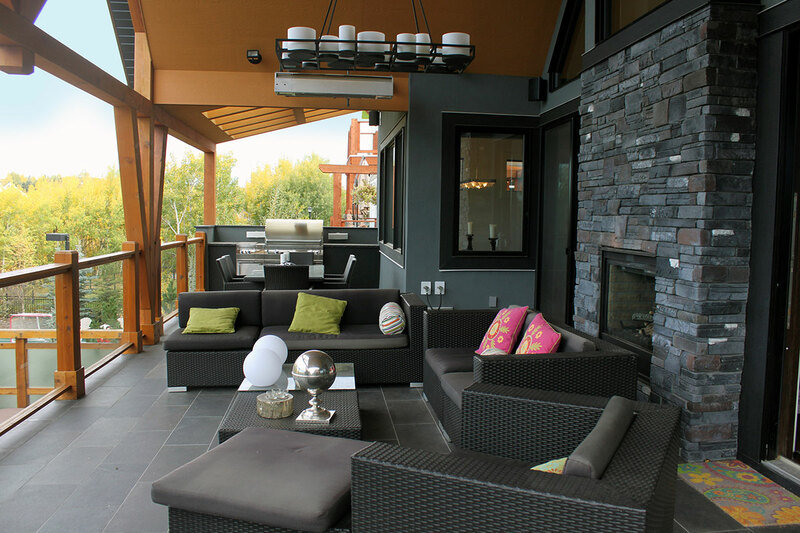 Imagine lounging in your courtyard or on your deck after work, your own private patio. Or imagine that you are sitting in the sun on the weekend enjoying the heat and reading a book. Your backyard landscape design will create a vacation-like ambiance where you can relax in your own space on your own time. 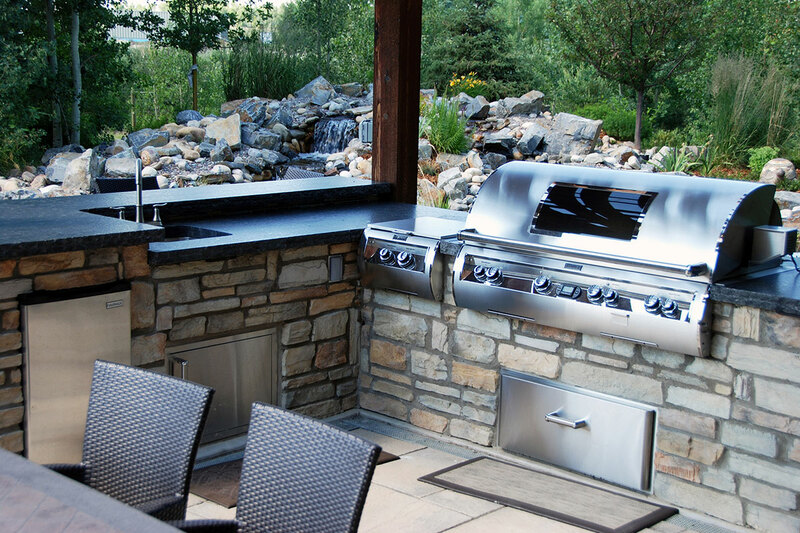 Make the most of your backyard with the perfect patio. Cooking outdoors is a theraputic hobby that everyone can enjoy. Sharing a meal with people you love in the space that relaxes you is a craved luxury. Imagine having the luxury to spend more time outdoors without leaving the comfort of your own home. The ultimate summer getaway is just outside your home. Your kitchen is a social area, take the party outside! A garden is a beautiful piece of landscaping that relaxes the senses. Sit back and enjoy the fresh air as you drift away into the smells and feeling of a natural landscape. Enjoy being captivated by the wonders that mother nature provides. Backyard landscape design can transform your outdoor space. With a flourishing garden, you can enjoy the local wildlife that stops by to visit your carefully designed oasis. Privacy screens create an exclusive getaway that’s an invite-only destination. In order to truly escape, block out the noise and get the privacy you desire. Privacy screens also reduce heavy winds that can create chaos in your calming esapce. For close quartered homes or heavy wind zones, install privacy screens to block the wind while keeping your backyard private. Relax next to your peaceful water features. Whether you would enjoy a water feature like a fountain or a large hot tub, Ananda’s backyard landscaping design team can help! Set the mood for your backyard getaway with the soothing sound of water flowing through the garden. 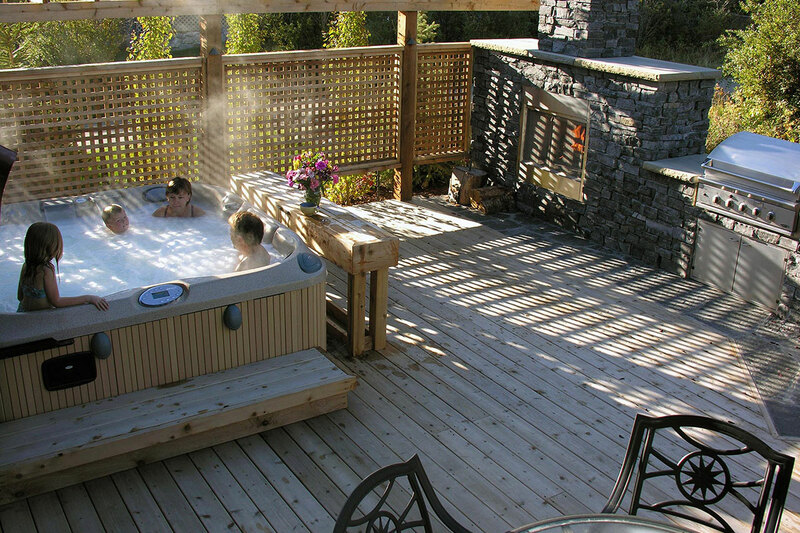 Additionally, imagine having the luxury of enjoying your own hot tub all year round. The magic awaits. The beauty of creating a holiday destination in your own home is just that, you never have to travel too far. Discover the magical ambiance that night lighting provides and admire the beauty of your space even after the sun sets. Night lighting allows for you to enjoy your space into the night, no indoor curfew due to lack of a reading light. You can enjoy your holiday 24-7 and the real beauty is that you never have to check out. All that is left is to start creating your unlimited vacation with Ananda Landscapes. Contact the team at Ananda Landscapes for a free consultation. Imagine having an endless holiday from the comfort of your own home. Our backyard landscaping design team can make this happen!